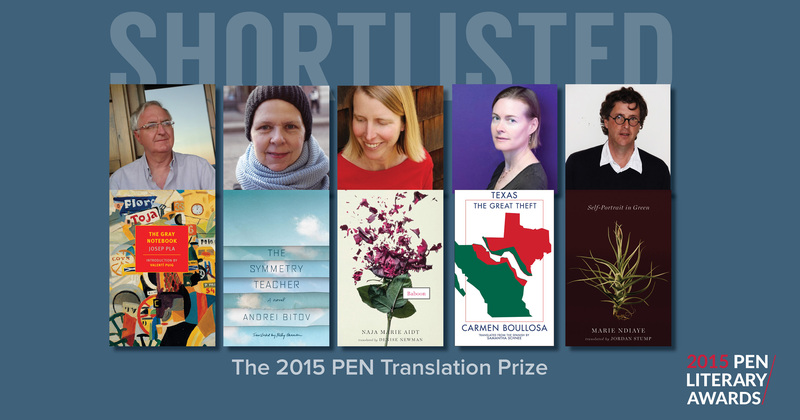 Texas on PEN Translation Prize Shortlist & 5-Book Subscribers RENEW NOW!! TEXAS: THE GREAT THEFT IS ON THE PEN TRANSLATION PRIZE SHORTLIST!!!!! Congratulations to Carmen Boullosa & Samantha Schnee, an author/translator dream team the likes of which are hard to find in any corner of the planet—it is an honor to have published this book, and it’s all thanks to these two amazingly creative women it’s all possible. Thank you Carmen, and thank you Samantha, for believing in me as I got Deep Vellum started, for your patience, for your wisdom, for your talents. It’s a true honor to be on this shortlist, alongside publishing friends & idols Two Lines Press (with TWO books on the shortlist: Baboon by Naja Marie Aidt, translated from the Danish by Denise Newman & Self-Portrait in Green by Maria NDiaye, translated from the French by Jordan Stump); New York Review Books (Catalan legend Josep Pla‘s The Gray Notebook, translated by Peter Bush), and FSG (Andrei Bitov‘s The Symmetry Teacher, translated from the Russian by Polly Gannon). Also, the PEN Award for Poetry in Translation shortlist is amazing, check it out (and I highly recommend from that list Kim Hyesoon‘s Sorrowtoothpaste Mirrorcream, translated by Don Mee Choi, published by Action Books). Check out the full list of shortlisted PEN prizes, including Dallas’ own MERRITT TIERCE shortlisted for the amazingly prestigious PEN/Robert W. Bingham Prize for Debut Fiction! And thank you to our very own Dallas Morning News for covering the prize shortlist announcement and mentioning Deep Vellum. We love y’all (and thanks for being among the first to review Texas: The Great Theft and among the first to profile Deep Vellum when we were starting up! THANK YOU!!!!). Texas is the book that Deep Vellum was always meant to publish. I alway said when brainstorming the idea for Deep Vellum that the two books I needed to publish were a book about Texas from the Mexican perspective and a German book about Dirk Nowitzki (which I’m working on, and attended the North American premiere of the German documentary Nowitzki: The Perfect Shot at the Dallas International Film Festival earlier this week to spend more time with the author of a forthcoming German biography of Dirk that I hope to publish simultaneously with its German release…)—I’ve published the book about Texas, and it’s remarkable the attention it is so deservingly receiving. Thank you all who have read it, shared it, debated it—that’s what this is all about. Books do not live in a bubble unto themselves, they are living, breathing things, and it is the reader who brings them to life, and every time you share it with a friend, review it online, mention it to someone looking for something to read: you are the embodiment of all that is good in the world of books. …a shockingly intimate portrait of the complexities of desire, what it’s like to truly lose yourself in another person, and the hidden costs of finally conquering the object of your ultimate affections. The porous membranes of Sphinx let it be a novel of openness, as if a living being, letting you in and out, affected and changed each time you begin or cease reading. Deep Vellum is also a proud partner of Literary Hub, the newest literary venture started up by the fine folks from Grove and a bunch of their best friends (aka: every amazing publisher and bookstore you could ever imagine, we are in some seriously incredible company). This is a cool concept, and so far the writing (updated daily!) has been great: in the near future it’ll feature excerpts from upcoming books, exclusive interviews, all sorts of media content, and great essays by people way smarter than me about things I am interested in, like Alexander Chee’s “From Potter to Tartt to Ferrante: How We Came to Love the Multi-Volume Novel.” You’ll also get some fairly-regular updates from yours truly about the literary community in north Texas, as I’ve joined up on the personal side as the Dallas Literary Correspondent. Sign up for their daily emails, and get into it! 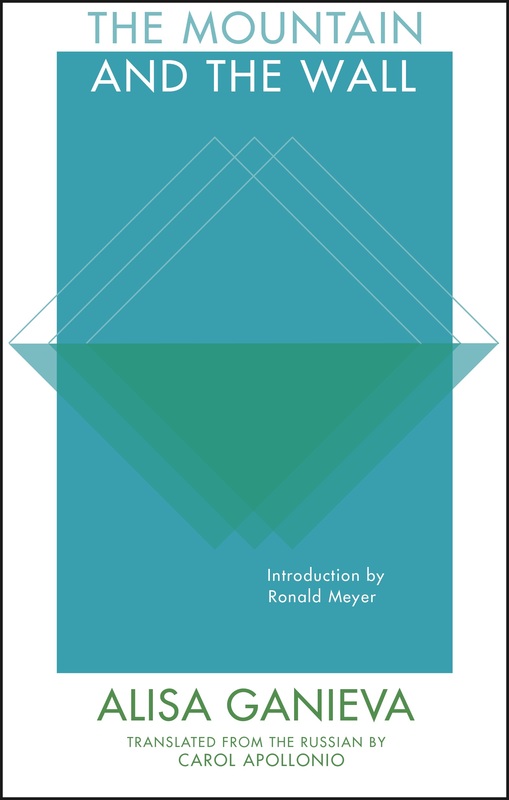 And if you’re looking for a non-Deep Vellum book to read while you wait for Mikhail Shishkin’s Calligraphy Lesson: The Collected Stories to appear in your life, may I recommend Georgi Gospodinov’s The Physics of Sorrow just published by Open Letter Books?! This Bulgarian masterpiece will change your life. And if you don’t believe me, check out this incredible profile of Gospodinov in the New Yorker that came out today. Enjoy, and thank me later. Our First Texas Commission on the Arts Grant!! Let’s Talk Censorship, North Texas Giving Day, and Ófeigur Sigurðsson!